You’ve made it home, kicked off your shoes, and now what? 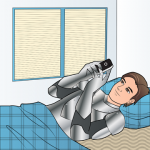 Texting after the first date can be stressful (especially if you really like the person).  This critical text should express your gratitude for a fun night out, and send a signal that you are interested in seeing them again. No matter how well you felt the date went, that first text can be scary. After all, what if they said they had a nice time just to be polite? What if your date is feeling just as vulnerable as you are? What if…? Just take a deep breath, relax, and fire off a friendly text to open up the door to more conversation. Fire Away Right Away – Or Wait? On the other hand, you should also avoid taking too long to send a text. Along with creating doubt, this might anger them as almost everyone has heard about “The rules” or understands the whole “playing hard to get” game. Within 24 hours is perfect timing for sending your first post-date text. I recommend sending this text sometime in the evening, in order to avoid interfering with your date’s work-day. People are usually more relaxed and receptive to social texts in the evening, and they will have the time and energy to text you back. Having said that, sending a goodnight text to someone you’re already acquaintances with, or who you speak to on a regular basis could help you avoid an awkward run-in. Checking in to make sure that he or she arrived safely is also another good reason to send a text right away. For example, if you took separate cars, asking your date to text you when they arrive home safe and sound will come across as very classy without seeming creepy. Gratitude means a lot. There’s bound to be something to thank your date for. Did they make sure you ordered a special chocolate dessert? Spend a lot of time planning creative activities? Pay for a movie (movies aren’t cheap these days!)? Even if the date was entirely your treat, thank them for spending time with you. It makes you come across as classy and well mannered. The text you send should be in line with the “flavor” of the date. If your date took you to a classical music concert, then sending a text filled with slang is probably going to bomb. Likewise, if you went out to a sports bar and had dollar pitchers and nachos all night long, sending a stiff thank you text is going to be read by your date as a lack of interest. 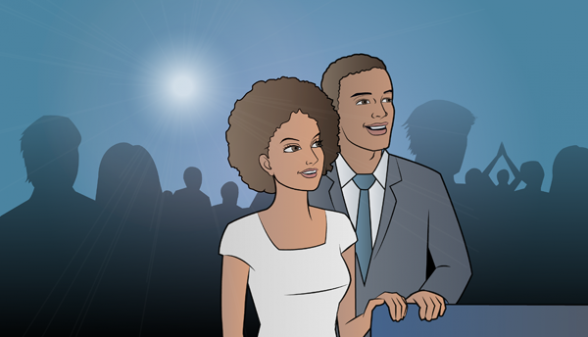 There are certain situations where you can’t quite tell if you were on an actual date. These are typically spur-of-the-moment outings, such as a co-worker inviting you out for drinks after work. If you felt sexual tension and obvious flirting, it’s probably a sign that they’ve been looking for their window of opportunity for a while. Regardless, they might feel just as unsure as to whether or not it was a real date. Therefore, don’t get too gushy, or put a label on the time you spent together. Simply let them know you had fun! If your love interest picked a friendly gathering for your first outing, then there’s always the stark possibility that he or she – for now, at least – only sees you as a friend. But this doesn’t necessarily mean that’s all they want to be. In cases like these, texting after the first date is extremely important. It sends a slightly formal message that indicates you’d like to continue seeing them. There’s also the possibility that this gathering was a test to see if you get along with their friends. This is especially true if the event was filled with other couples. No matter what you think their intentions are, let them know once again that you had fun. Unless the phrase “Would you like to go out on a date with me?” was spoken out loud, do not use the term “date” in your first texts. Doing so will automatically take any causality out of the conversation, and makes you come off as aggressive. Keeping the word “date” out of your texts after the first date will allow things to progress much more naturally. As with all text conversations, have fun! If it isn’t fun to send texts to him or her than you probably have not found the right partner, and you should move on. He said yea, but would get ahold of me later. I replied ok, I was just cheaking on him. He said thanks. He texted when he got home, that his legs were killing him. Said he was gonna shower and sleep before work. I said ok, id talk to him later. But, noticed he was on fb off and on, until it was time to leave for work. Now, I thought there was a connection, so I felt ok texting, to ask if he got any sleep?? He said an hour. Thats all I got the rest of the nite. I didnt text him either…on fb he posted something that said “it is what it is”? And “he has trust issues, cuz people have lying issues”?…i did comment to that, you and me both! But, he never logged back on. So he hasnt seen that yet!! So, what or where do I go from here? Thank you for reaching out, I’m sorry to hear about your situation. I just sent you an email. I met a beautiful girl online ,,,we went for the first date in a coffee shop and we decided to go for the second date (next day) and she was excited about it. we went for few drinks and some food in 2 bars.. was fun and she said (my dad is coming to visit tomorrow for 3 days ) she invited me to go to a movie after her dad’s leave. today is the day and she hasn’t text me yet. should I text her? if I should ..what it would be ? I meet a girls for dinner very good conversation like we knew each other for years. After I drop and email mentioning for the lovely night and my mobile no she replied. Thank you for your email and lovely time yesterday evening. What shall I write next? What time to send a text the next day? On the ride home to my house he said “that was fun” dropped me off and then initiated a hug good night, I leaned in for the hug but I really wanted that kiss and chickened out making the second move, but it was over the car console and kind of uncomfortable, please help ! I would wait for him to send the next text…having said that, if you really don’t want to wait, then text him at some random time during the day telling him that you had a great time and then ask him a question (about something you talked about). Met a girl online we texted for a week and finally went on our first date, We went to a nice restaurant it went really well, on our way out we were parked beside each other we hugged and then she kissed me on the lips, she texted me after she got home and told me she had a great night and enjoyed meeting me, we texted the following day and talked to each other on the phone too, all great and felt something,and then the day after I sent her a text at lunch about our next date…no reply it’s 9;00 Pm Should I send her another one or wait another day?? From everything you said about your date, it sounds like she is interested in you. I would wait before texting her again. When you do text her, don’t ask her why she didn’t text back, instead start another thread. Tell her about a concert coming up, a cool new restaurant in town, or something else you know she is interested in. Update; she texted me the next day it’s all good…She got hurt I at work minor stuff, so she got home late, I got a text early the next day. I must be in Love…. Thanks for the update, I’m so happy to hear that everything worked out! 🙂 Love rules! Hi, I’m just wondering if guys still pay for the first “hangout” time? I went on serval dates last year and only two went past the 5th date. I’m feeling like the girls don’t say thanks for paying as well, just smiled. So this year I’m soon going on one and feel like only paying for the second hangout time not the first. I have always felt the need to pay for the first to impress the girl but alot of times they don’t impress me or for me to feel appreciated. I just feel girl are accepting the first time just to get a free time/food. What should I do? I think most women assume the guy is going to pick up the tab for the first few dates. But if you are feeling used by past negative experiences, you could plan something less expensive and time consuming for the next first date (to see if you hit it off). For example, if she likes sports, suggest taking a jog together and then treat her to a smoothie/beer. If she is more artsy, you could suggest going to a new exhibition and then take her out for dessert. After spending time with her you will see if the relationship has a future, and is worth the investment. Hope this helps!